Do you like capturing the moment and posting it on Facebook? Are you on Instagram? Are you ready to show the memorable moments of your semester in Debrecen? Hereby, we would like to challenge all of you for a photo contest! You don’t have to do anything more but post your pictures and videos on the social media (Facebook, Instagram, Twitter) and add some hashtags! That’s all, it’s not rocket science! Whatever happens to you and your fellow students, portraits, group pictures etc. 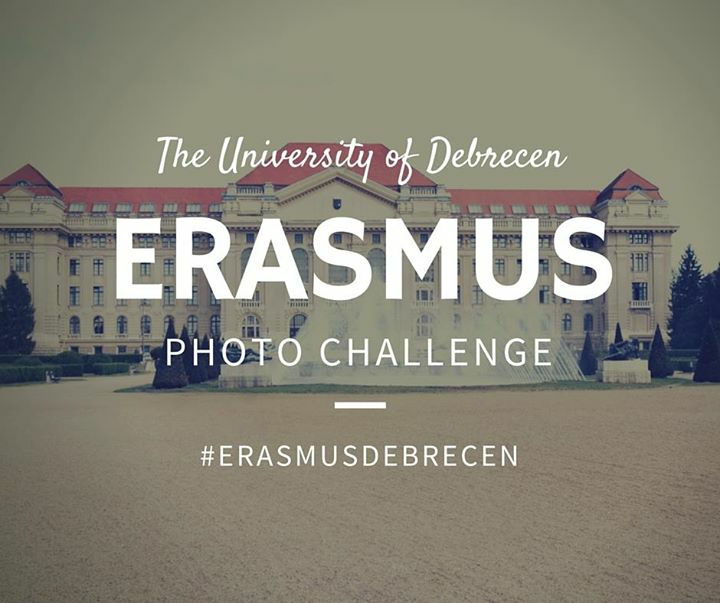 Win Erasmus+ gifts and invaluable pieces of University of Debrecen souvenirs! Each month the UD International Office will collect and post the submitted images to its facebook page and you can vote for the best by liking the photos. The images with the most likes in each category will be announced as “Photo of The Month”. Authors of the pictures with the most likes in the respected categories will win Erasmus+ gifts and invaluable pieces of University of Debrecen souvenirs! So, what are you waiting for? Show us your best moments and share them with the others!